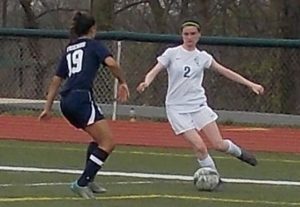 CLAYMONT – Archmere turned relentless pressure into two first-half goals, and that was enough for the Auks in a 2-1 win over Wilmington Friends in girls soccer April 25 in Claymont. 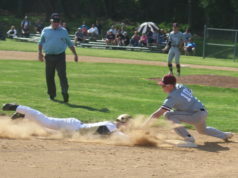 The game was a battle of two of the top teams in Division II, with the Auks coming in at No. 4 and the Quakers right behind them in the fifth spot, according to 302Sports.com. After a scoreless first 15 minutes, the Auks struck on a pretty goal. Karena Wursthorn sent a long through ball toward the Quakers’ net, and Dara Dawson was able to pick it up in stride and dribble in one-on-one with Friends keeper Natalie DePaulo. 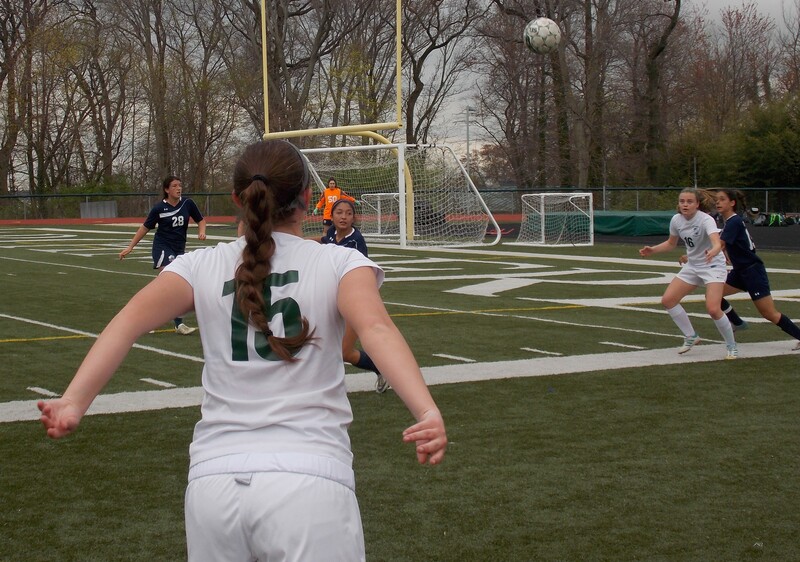 Dawson sent the ball to the lower left corner to put Archmere up. It did not take the Auks long to double that lead. 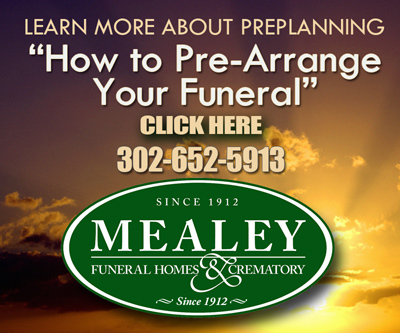 In the 20th minute, they were awarded a free kick just outside the 18-yard box. Maddie Law lined it up and sent a shot just over the hands of DePaulo and under the crossbar. The Auks controlled the ball and the tempo throughout the first half, using an aggressive pressure defense to keep the Quakers at bay. They came close to scoring in the 25th minute, but DePaulo punched a shot by Anna Garcia over the crossbar. DePaulo came up big five minutes later. Garcia sent a shot off the outside of the far post in the final minute of the first. The Quakers got on the board in the 68th minute on a free kick by Sloan Maas, but they were not able to equalize. 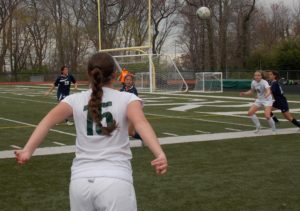 Archmere had 10 shots and five corner kicks. 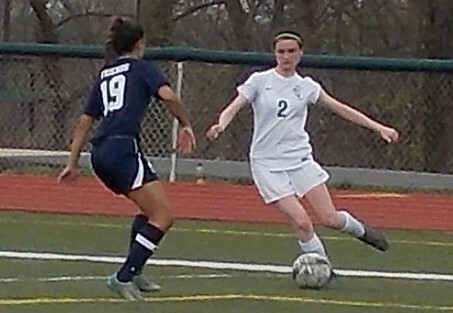 Nicole Witherell made two saves for the victory. 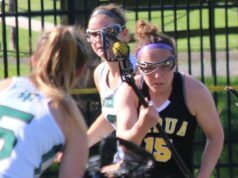 The Auks improved to 8-1 and host St. Georges Tech on Monday at 3:45 p.m. before welcoming defending Division II state champion Caravel on Wednesday. DePaulo finished with eight saves for Friends (4-3-1). The Quakers return home to face Tatnall at 4 p.m. Friday.